Ermelinda, quiet and grounded, graduating next March as a Bachelor in Chemical Engineering. She’s currently completing research on gray water treatment as part of her thesis presentation. She comes to Urubamba every weekend to relieve us and to support the kids with their duties, such as doing their laundry and completing their tasks. Rayshiel, recently moved out of the home as she’s working for almost 2 years at the Inka Rail Corporation (Machu Picchu Trains and Tourism Services) She wants to continue learning languages and she’s excited to begin life on her own. Zenobia, who recently moved back to Urubamba, is on a path of self-discovery and accomplishing her dream to become a Pastry Master Chef. Jose Luis, every day is excited and excelling at his creative work; he has one more year before graduating as Graphic Designer and Video Production Artist. He’s currently doing his school practice at a local Media and Communications business. Belisario joined the family again after a period of self-search; he’s doing his 3rd year of Economy School, he’s a dedicated student with a sophisticated philosophical mind. On weekends he’s the private Math tutor for our high schoolers at the home in Urubamba. Jorge, after being away for a period of time is now with us again. He was accepted at the International Business Program at Khipu Institute, where he’s learning about international trading and laws. He’s become an excellent cook, delighting his roommates at home on his cooking day! Marco, feeling proud and happy after being accepted at the School of Tourism where he’s learning in depth the history of Peru as well as discovering his feelings when learning about his heritage as a Quechua descendant. He’s guiding visitors that come to see us, practicing his new learned skills and finding new areas to hike and show as he continues to learn about Archeology and the myths of the Inca culture. Leo, our great chef, moved out to live with his girlfriend. We miss him! He works now at a couple of gourmet restaurants in Cusco; on some of his days off he comes home to share his extraordinary cooking skills and his great sense of humor. Doris is currently taking English classes as well as attending a Cosmetology School where she’s learning all about hair and skin care; she has become our main hairdresser at home giving haircuts to the boys and creating beautiful and intricate braids for the girls. Doris is also working as a babysitter learning how to create fun and exciting activities for the girl she cares for. Ada, she will be graduating from high school this December and has begun to attend a preparatory academy to apply to Veterinarian Schools which has been her goal since she was a little girl. Her grades make her the first student in her class. Sol (r) took this selfie with her sisters Lisbet (l) and Marlitt (center). Sol’s sisters came to live with us during the Christmas holiday, when the home they’d been living in was shut down by the government. Lisbet, (Sol’s sister, age 16) has finally adapted to our home after a hard transition period since she came from a nun’s home for orphaned girls. She’s currently Ada’s classmate and will be graduating from high school this December as well. She is the second in her class which every month makes for a competing game between her and Ada. Lisbet will be applying to the Cusco School of Arts, she’s interested in becoming a Ceramicist and a Curator of Colonial Art. Marlitt, (Sol’s sister, age 13) as adapted to our home faster than her sister Lisbet, finding out how much fun she could have playing with both boys and girls alike. (You can see her in the image at the top of this page, playing with her new brothers Rusbel and Luis while Doris takes a break nearby.) She’s also the first student in her class, great at Sciences and a passionate soccer player participating in weekly school’s soccer competitions. 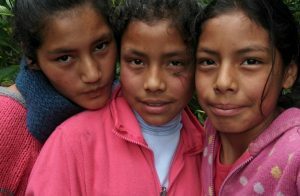 Soledad, getting taller than her older sisters and learning to share life with them as well. She’s now attending a preparatory academy since this December she will be graduating from Elementary School; Soledad will be graduating with honors as she’s the first student in her class since she was in the 2nd grade. Sonqo is now a lanky and quiet 15-year-old, interested in everything to do with computers. He loves reading history and fantasy books, he still plays soccer at times, most of the time he prefers to stay with his books. Luis The first student in his class and one of the best cooks at home, he’s always curious and creative, helpful and sensitive. Luis loves going on bicycle rides and every Friday on our weekend celebrations he reports that he is grateful for life. Rusbel, growing up and passionate about all school subjects, he too is the first student in his class as well as a great artist, every year he wins school prizes for his fantastic artwork. All our children are growing up healthy, holy, happy, although as they become teenagers and young adults their awareness of past trauma is alive. The children wrestle with self-doubt and fears of the future, and we work together to overcome the looming past and create a new paradigm in their own lives. Sometimes our young adults come and go so fast it seems the Casa has a revolving door. Viviana’s policy is to support them as needed while setting up limits when their paths go in opposite directions from what we offer and require. Viviana wants each of our young adult Niños to know that they aren’t alone in the world and that our care does not end just because they turn 18 or make a mistake. 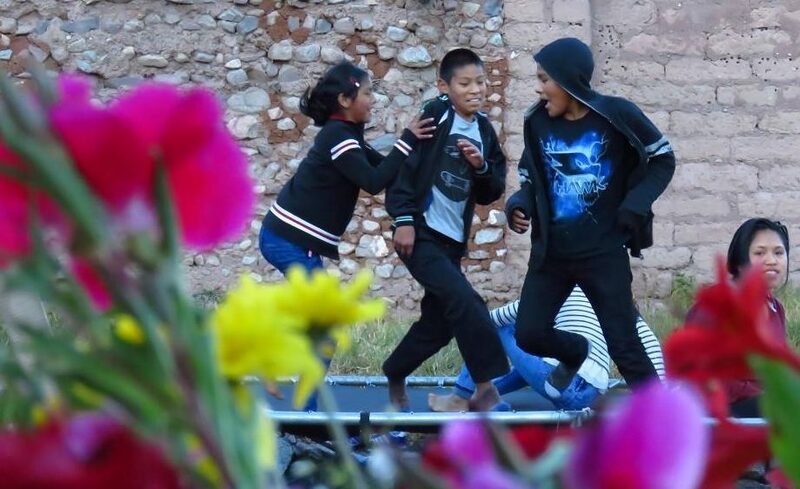 Viviana and Avishai currently offer emotional and, at times, economic support to several of the Niños who are adjusting to life on their own or are still interested in attending school. This includes Guadalupe, Melina, Soraida, Maria Flor, Raul, and Rayshiel. Very excited to hear this progress by the Ninos!! You’re very very inspiring Viviana! !